DERRICK M. YANETTA. 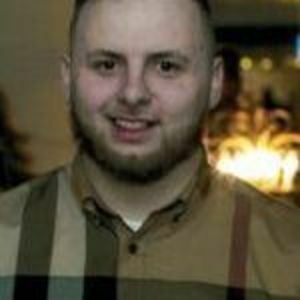 Age 24. Loving son of Angelo Yanetta and Debbie (Bates). Baby brother to Natasha (Anthony), Angelo (Tamera), Sabrina, David (Clara), Darrin (Danika), Antwon (Amber), Mona and brother from another mother Aaron (our Leslie family). Cherished uncle to Tim, Tanaysia, Shayla, Aniyah, Isaiah, David, Drew, Allan, Bella, Eli, Phillip, Marrisa, Joe, Tyler, Shaunna and Angelo III. Cherished great uncle to Savayah, Kyriee, and Cambreigh. Loved by many aunts, uncles, cousins and friends. Soul mate to Kadijah, and loving father figure to his “lil dude” Kartier. Visitation Thursday, March 2nd from 4-8 with a 7:30 service at Zabor Funeral Home 5680 Pearl Rd. Parma (between Ridge and Snow). Interment private. To offer condolences visit www.ZaborFH.com. Donald Wilson, 67, of Lansing died September 26, 2016. Arrangements by Palmer, Bush & Jensen Family Funeral Home, Lansing Chapel. Funeral Services will be held Thursday at 1 p.m. visitation begins one hour prior at the Funeral Home. Jim Murray, on behlaf of Konan Judo Associations sends condolences to his family. I would first like to thank my Sensei Mr. Noboru Saito, Mr. Jerry Wee, Mr. Neil Simon-President of Judo Affiliates of Michigan, Mr. Steve DeRaedt, Mr. Thomas Gomez and rest of JAM Trustees, Mr. Jim Murray-Konan Yudanshakai president, Mr. Pete Catlos-Konan Treasurer, and Michigan Judo Development Association for all the help I have received to go to Boston, MA to train with Team USA. It was a two week training camp to help our Olympians prepare for the Rio Games. 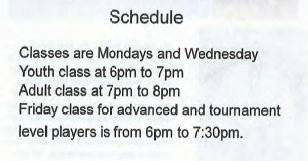 There were two a day practices for the duration of the camp. Alternating between tachi-waza and ne-waza throughout the day. There were lots of drills, grip fighting, and randori. The training was hard but even more excruciating for the athletes themselves as it was designed around them. We also had the pleasure of welcoming six judoka from Japan. Four men and two women all on the national team. With the Olympians, the Olympic training partners, and the Japanese national team it made the training camp even tougher. It was an amazing experience to train with some of the best judoka. This encourages me to train harder and set my goals for my competitive career even higher. I would like to thank everyone once again for their kind-hearted support. Congrats to both Ernie Otani and Vic Kasprowicz who passed their Shodan examinations at the promotion evaluation event yesterday at Saito Dojo. Amazing over 200 hundred years of judo expertise is represented in the photo above to complement the smiles! Thanks to Saito-senei for hosting and supervising the event, for Jerry Wee-sensei for leading the examination team which included Emily Wee and Pete Catlos. In the spirit of cooperation for mutual benefit, Dakotah Kilbourne (for Ernest Otani) and Andrew Allen (for Vic Kasprowicz) generously served as nage-no-kata partners and gokyu-no-waza ukes for the examinees. Mr. Don Kelley, Saito-sensei’s long-time student and assistant instructor at the Birmingham Y Satio-dojo, was recently honored with membership in the Great Lakes Open Hall of Fame. Yesterday, he was presented with a certificate of recognition and appreciation. Mr. Kelley has tirelessly worked in the key role of competitor registration for many, many years. He has been a model and inspiration to many in his generous giving of his time, efforts and money in support of Michigan Judo. Mr. Kelley, we thank you. Click here for a full information brochure. After suffering through a freshman year in which he sustained an Achilles tendon injury and contracted mononucleosis, a healthy Nicholas Joseph rebounded to win a national title in his favorite sport. A wrestling and judo performer, Joseph, a rising junior at Novi Detroit Catholic Central, captured gold at the USA Judo Junior Olympic National Championships in Irving, Texas, last weekend. Competing in the Juvenile B Division for 15- to 17-year-olds, Joseph won the 66-kilogram division, going 4-0. 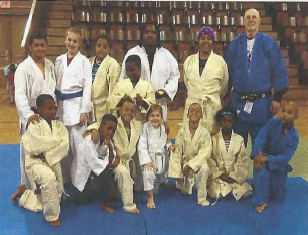 Nick Joseph is a long-time student at Saito-dojo and Macomb Y Judo Club, and is a member of the Saito-Wee Judo Team. Nick has received financial support from Michigan Judo Development Association, Inc. (MJDA). You can help MJDA support rising judo players like Nick by shopping at AmazonSmile. 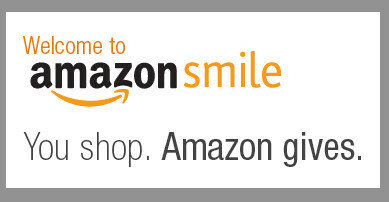 Click on the image below and choose Michigan Judo Development Association as your charitable cause – MJDA will receive a portion of your purchase as a contribution from the AmazonSmile Foundation. 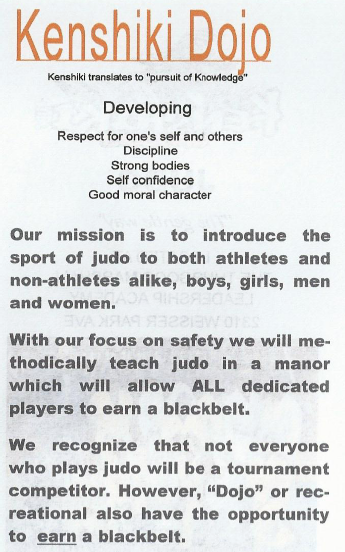 Forty-five students competed and eight advanced students acted as referees under Sensei Paul’s supervision. Most importantly. look at the smiles on the faces of the kids… what a great introduction to competition! This clinic was held at the Saito-dojo located in Birmingham YMCA, Birmingham, Michigan on Saturday, May 17, 2014. The clinic was started on time at 1 pm with introduction of Nakano-sensei by the host Noboru Saito. Nakano sensei taught importance of basics such as grip (what part of fingers to put the pressure), location of hikite (pulling) with hand near the partner’s forearm near the elbow, tsurite’s location and how to place tsurite hand to the partner’s chest, first step foot position and height of that knee (weight on) , then hikite pulling direction, and taisaki speed (two step entry), etc. First, Nakano-sensei started with throwing techniques: he showed his Taiotoshi (about 40 minutes), then to Kouchigari for another 30 minutes. After his demonstration, students tried the techniques with Nakano-sensei making corrections as they practiced. Students asked many questions and Nakano-sensei took time to answer by showing and explaining more about his Taiotoshi and Kouchigari. After about 10 minutes break, he showed us a turn-over that was easy to understand, with four ‘what-if” cases from the first position. After about 10 minutes break, he showed us a turn-over that was easy to understand, with four ‘what-if” cases from the first position.